I can’t believe it’s been exactly 365 days since I big chopped, and became 100% natural. A year ago, while getting ready for dinner, I hastily big chopped while my boyfriend was in the bathroom. He came out and I literally had a bag of my hair on the floor. While he was initially mad at my rushed and horrible cutting job (I had a bald spot!) he was always so supportive of my decision to go natural, something a lot of natural women can’t say. 1) Be prepared: Yay! You decided to go natural. Step one, check. But no matter how ready you are to embrace the new you, the big chop still a big deal to many of us. Even if it’s just a few inches, cutting the perm out seals your (hopefully permanent) dedication to the natural life. Be prepared to learn about your hair, what it needs. Be ready for those bad hair days. Just be prepared for the new journey of your hair. 2) Get the right tools: Once you’re ready to big chop, don’t just grab the closest pair of scissors and start slicing away (like me!). I’d suggest getting the proper tools to cut your hair correctly, like actual hair cutting shears, a mirror, a hand mirror to see the back of your head, a plastic bag to throw the clipped end in, some hair clamps and hair ties. With the proper tools, you’ll do less damage to your natural new growth and ensure a successful big chop. 3) Have support: For some naturals it helps to have that friend in the room for encouragement. I big chopped quickly and alone in my boyfriend’s apt. For me, I didn’t want any distractions or anyone telling me to wait for my hair to be longer or that I might not like my hair short. 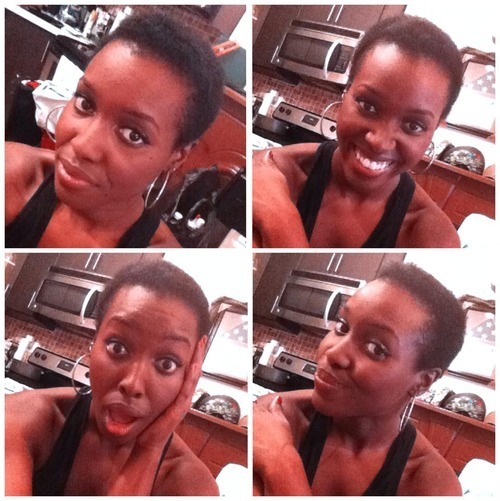 I wanted to fully commit to being natural and couldn’t wait to cut cut cut! But if needed, ask a friend to be there and maybe even do the task of cutting the back. Make it fun. 4) It’s just hair: Remember it’s just hair. Your hair will grow; it won’t stay short forever, unless of course you love your TWA so much you decided to keep it. 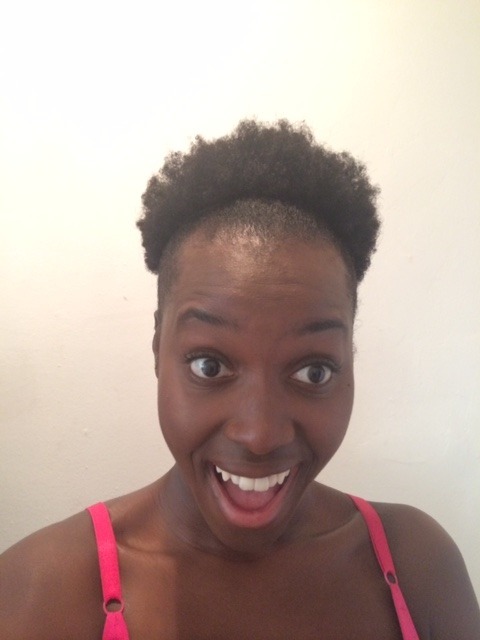 The initial shock after you big chop may be ‘oh no what did I do? !’ but don’t panic. Embrace your new look, add accessories, a bold lip color or a gorgeous pair of earrings. Don’t develop hair crushes of big beautiful fros and then begin hating your hair for not looking at way. Your hair may never look like the next girls, all you can do is learn what YOUR hair like, take care of it and have patience to allow it to be great. How was your big chop experience? Would you do it differently?